The Rebel features 40 watts of power, two midrange speakers, two tweeters and a dedicated woofer. Poolside, lakeside or at the beach, the Rebel’s IPX 3 rating ensures that you can subject it to rain and incidental splashes without damaging your system. The Rebel features built-in NFC one-touch connectivity and Bluetooth 4.0. Use Rebel’s built-in hands free microphone for karaoke or sing-alongs. With its built-in hidden carrying handle you can pick up the party and take it with you wherever you go. Rebel’s rechargeable battery is rechargeable. If yours is too, you and Rebel are a great fit. 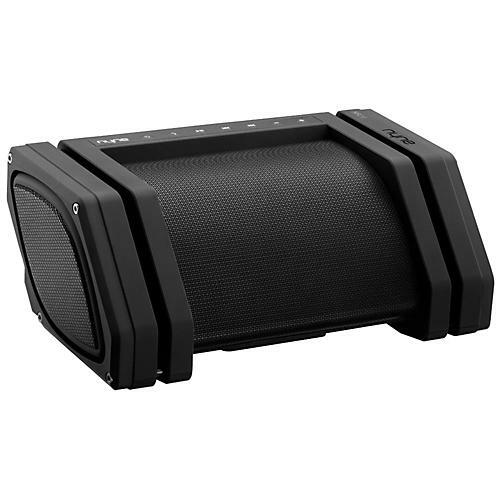 Portable sound system with weather and impact resistance. Order today.